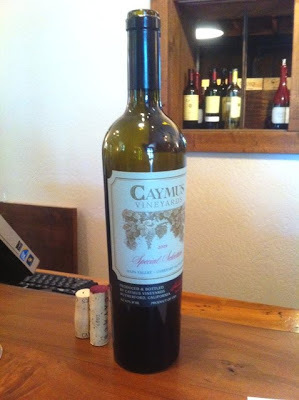 The first stop of our Napa Valley wine tour was Caymus Vineyards in Rutherford. I know Caymus makes great wines but I didn't really know much about them. The only time I have had Caymus wine was a few years back at a friend's wedding. I don't remember which vintage I had (there were a lot of wines flowing that night lol) but I just remember that it had a very unique taste and reminded me of roasted coffee beans. I remember liking it so I was looking forward to trying it again. 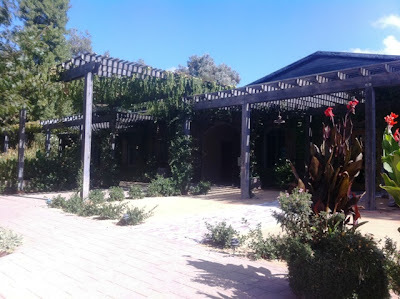 As we pulled up to the tasting room, it looked very rustic with vines covering the building. The tasting area wasn't very big inside but we were told that there were other tasting rooms in the building. We did the $15 tasting, which included a selection of wines from the Wagner Family of Wines (with different members of the family directing the different labels) and not just from Caymus. We started with the Mer Soleil 2010 Silver, Unoaked Chardonnay, which comes from Santa Lucia Highlands of Monterey County. I've never never had unoaked wines before and the Chardonnay was extremely light and crisp, vs. the more buttery texture that I've often found in other Chardonnays. The second wine we had was the Belle Glos 2009 Pinot Noir. Unfortunately I found that one to be not very memorable. Will have to try this when I am up in Napa next time. 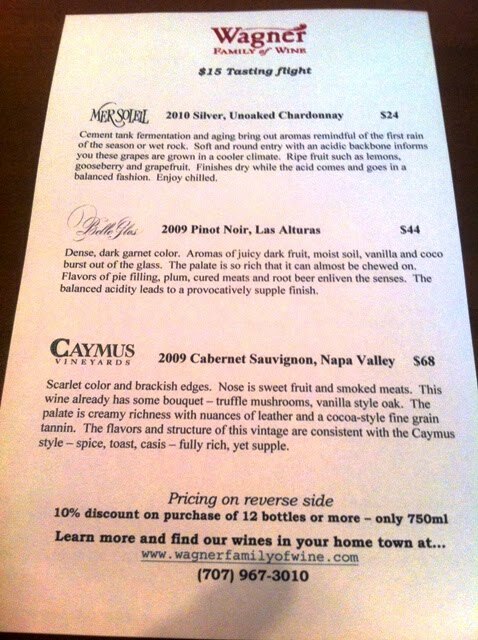 Caymus sounds like a great place! 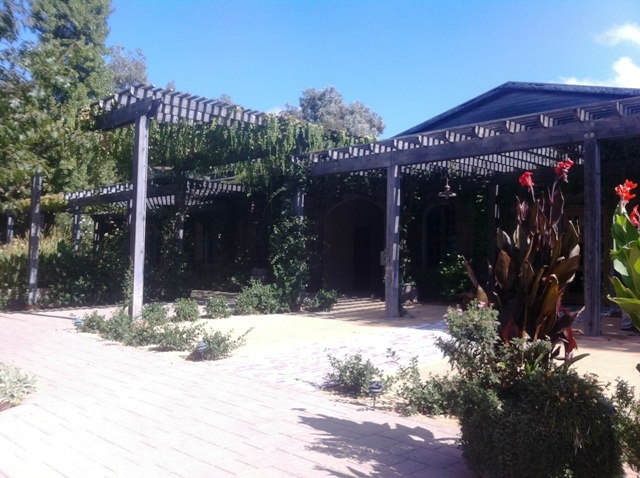 Will add that to the list of wineries to hit next time.